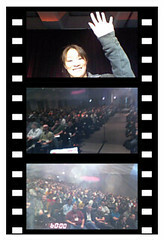 Thank you to everyone who came to my overview talk yesterday! My session video has already been posted online. You can also download the deck here. 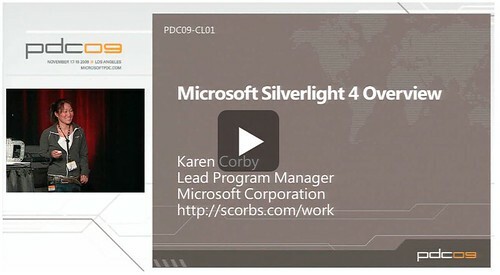 You can find online all the other Silverlight PDC session videos. As promised, you’ll find the code for all the demos below (and links to run the app, where possible). But first, a few thank yous…. Note: in order to run this application, you will need to set up a Silverlight Multicast Server. 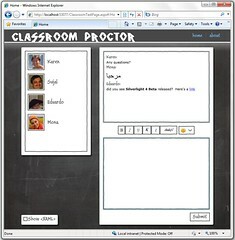 An example of a server can be found here. You can use the policy file found here. 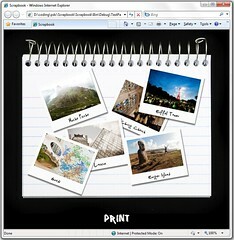 Note: you must Right-Click to install this application. 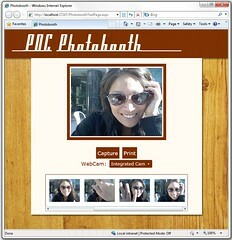 FYI, the link for the codes for Scrapbook and PDCPhotoBoot are missing! Mmmmm…. Not sure why those are down. I unfortunately don’t have my work laptop right now. I promise to fix those links next week when I’m back from vacation! I’ve watched the video, it’s very nice. I expect the Silverlight 4. When to release? I just love you (and SL4), great presentation! Loved the way you explained every thing, excellent presentation! Great presentation, thanks. 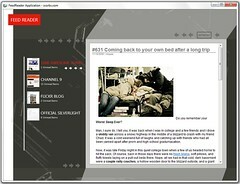 I’m an old hand a=t ASP.NET but definately a Silverlight newbie, and got quite inspired by several things in your demos. Can’t wait to get the code. Links should now be updated! Karen, can you share that great snippet tool you used in the demos? Thanks Karen! I’m presenting to the Portland SLUG on 12/7 and Seattle SLUG on 12/8. So, just in time. Love the snippet thingy too, thanks!